Figure 1. Western blot of lysates from HeLa cells (Lane 1) and c6/36 cells (Lane 2) probed with anti-MAP2K2 (upper panel) or with anti-Actin for loading control (lower panel). 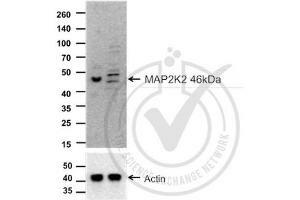 Read validation report #029748 for application Western Blotting. 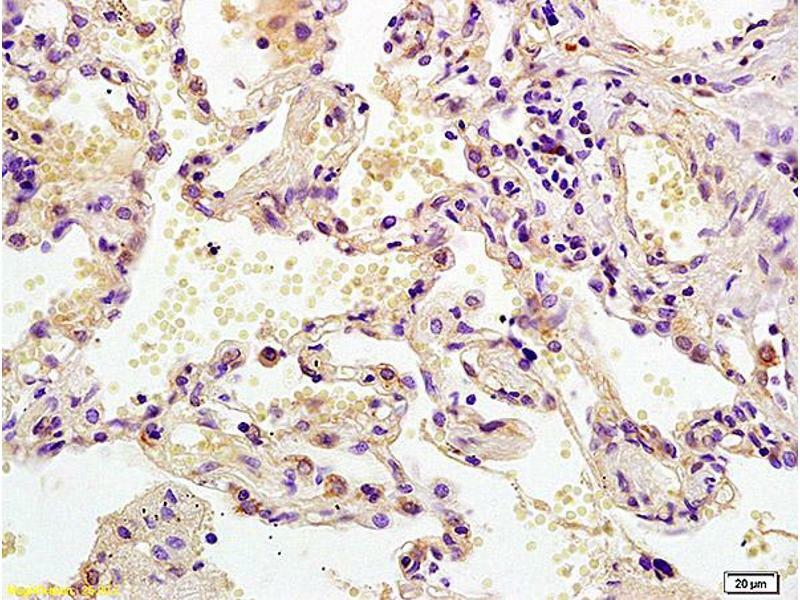 Formalin-fixed and paraffin embedded human lung carcinoma labeled with Anti MEK2/MAPKK2 Polyclonal Antibody, Unconjugated (ABIN726500) at 1:200 followed by conjugation to the secondary antibody and DAB staining. 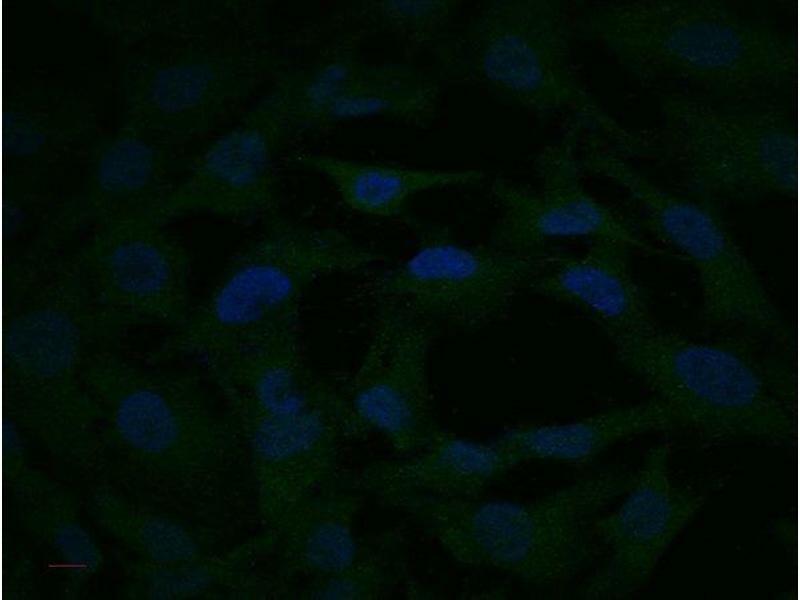 HT-55 cells were stained with bs-0223R Rabbit Anti-MEK2 Polyclonal Antibody at 1:250. 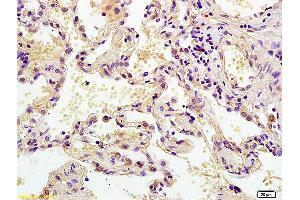 Followed by Goat Anti-Rabbit antibody conjugated to Alexa fluor 488 at 1:500 dilution. 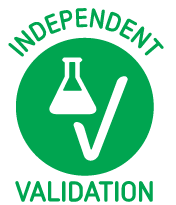 Images provided by the Independent Validation Program, badge number 029748. Lane one: HeLa cell lysates. Lane 2: c6/36 Mosquito cell extract (non-reactivespecies) probed with Rabbit Anti-MEK2 Polyclonal Antibody, Unconjugated at 1:100 overnight at 4˚C. 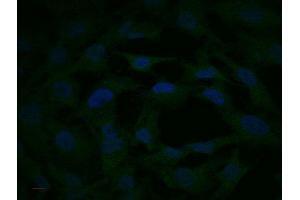 Followed by conjugation to secondary antibody at 1:20000 for 60 min at 26˚C. Notes A single positive band at the correct molecular weight was detected in positive control HeLa cell extract. 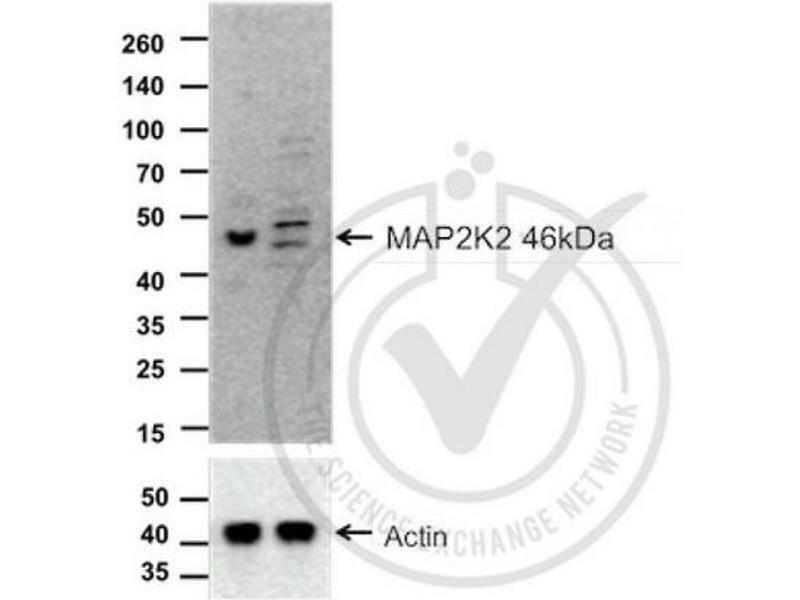 Several bands were observed in the non-reactive species negative control at approximately the same molecular weight as MAP2K2. These bands may constitute cross-reactivity of the target antigen, or they may be non-specific bands. 2. 46 μg of boiled extracts were loaded and resolved on 8-16% SDS-polyacrylamide gel. 5. The PVDF membrane was incubated with 25 mL of blocking buffer [Tris Buffered Saline, pH 7.4 plus 0.1% TW20 (TBST)] containing 5% (W/V) non-fat dry milk at room temperature for 1 h.
7. The membrane was immersed with the protein side up in the primary antibody solution (anti-MAP2K2; 1:150) in TBST containing 5% (W/V) non-fat dry milk and incubated for 16 h at 4°C. 9. The membrane was incubated in the HRP-conjugated secondary antibody solution (Goat anti-rabbit IgG-HRP; 1:20,000) in TBST containing 5% (W/V) non-fat dry milk and incubated for 1 h at room temperature (~26°C) with gentle agitation. Experimental Notes - No challenges noted.